People across New Zealand will listen to the Muslim call to prayer on Friday as the nation marks one week since a gunman attacked two mosques and killed 50 people. 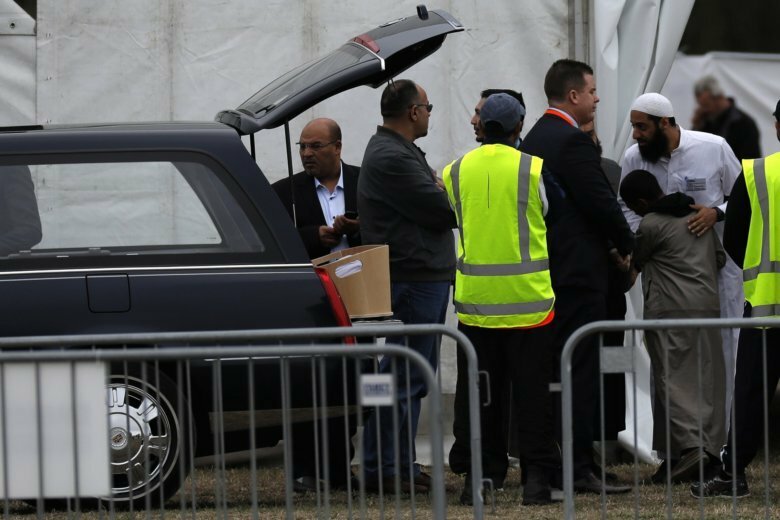 Prime Minister Jacinda Ardern and thousands of other people plan to congregate in Hagley Park opposite the Al Noor mosque in Christchurch to observe the call to prayer at 1:30 p.m. Many radio and television stations plan to broadcast the event live. At least 42 people died at the Al Noor mosque and at least seven at the nearby Linwood mosque in last Friday’s attack. The call to prayer will be followed at 1:32 p.m. by two minutes of silence. Al Noor imam Gamal Fouda says crews are continuing to renovate the mosque and hope to reopen it next week. Authorities in Austria say the alleged Christchurch mosque gunman visited the country, but are declining to provide further details. Earlier this week Hungarian authorities said the suspect, Brenton Tarrant, visited Hungary as a tourist last November by train from Romania. Poelzl declined to confirm whether authorities know if Tarrant then traveled to neighboring Austria, as photos on his now-deleted Facebook page suggest. Some of Tarrant’s anti-Muslim views are echoed by Austria’s far-right Identitarian Movement. The group is close to parts of the nationalist Freedom Party, which controls the country’s Interior Ministry. Facebook says its artificial intelligence systems failed to automatically detect the New Zealand mosque shooting video. A senior executive at the social media giant responded in a blog post to criticism that it didn’t act quickly enough to take down the gunman’s livestream video of his attack in Christchurch that left 50 people dead, allowing it to spread rapidly online. One reason is because artificial intelligence systems are trained with large volumes of similar content, but in this case there was not enough because such attacks are rare. Rosen said another challenge is in getting artificial intelligence to tell the difference between this and “visually similar, innocuous content,” such as live-streamed video games. New Zealand police say they inadvertently charged the mosque terror suspect with the murder of a person who is still alive. Police charged 28-year-old Australian Brenton Tarrant with a single, representative count of murder after 50 people were killed in Friday’s attack on two mosques in Christchurch. But police on Thursday said in a statement they made an error on the charging sheet prepared for Tarrant’s first court appearance Saturday. Police said they have spoken with the person incorrectly named on the document and have apologized, and said they would change the charge sheet. The name of the person on the charging sheet has been suppressed by court order. Officials have said more charges against Tarrant would likely follow. New Zealand Police Commissioner Mike Bush says all 50 victims of the attack on two Christchurch mosques have been identified and their next of kin have been advised. Expanding on the newly announced ban of military-style assault rifles, Bush said owners of such weapons could register them online or by phone or arrange to take them to police stations. He said anyone found to still have a banned weapon after an initial amnesty period could be prosecuted. Bush said there were around 250,000 registered firearms holders in New Zealand. The New Zealand government is asking all owners of assault weapons or now-banned attachments to report them to the government in the next two days before turning them in. Prime Minister Jacinda Ardern on Thursday announced that the government was immediately banning sales of what New Zealand calls military style semi-automatic rifles and high-capacity magazines like the weapons used in last Friday’s attacks on two Christchurch mosques. She says the cabinet is also working on a gun buyback program to be announced later. Ardern says there will be “tightly regulated” exemptions for some owners such as hunters and farmers. Prime Minister Jacinda Ardern says New Zealand is immediately banning sales of military style semi-automatic rifles and high-capacity magazines like the weapons used in last Friday’s attacks on two Christchurch mosques. An imam says he’s expecting thousands of people at an emotional Friday prayer service a week after an attack on two mosques in Christchurch, New Zealand. Six more funerals were being held Thursday for the 50 people killed last Friday. Iman Gamal Fouda says he’s been discussing plans for the prayer service with city officials and lawmakers and expects it will take place in a park across from Al Noor mosque, where at least 42 were killed. Fouda expects 3,000 to 4,000 people, including many from abroad. He said members of the Linwood mosque, where the gunman killed seven people, also would attend the joint prayer. He says mosque workers have been feverishly working to repair the destruction from the attack. They will bury the blood-soaked carpet.